Classic rock, blues and country, Duane brings it all for your Saturday night entertainment! Come early, get your seat! He is everyone’s favorite! 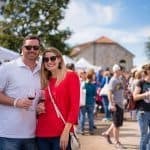 Great Texas wine and Music!